The kids sorted plastic, paper and can recycles. They also picked up the trash that the litter bug left lay around. 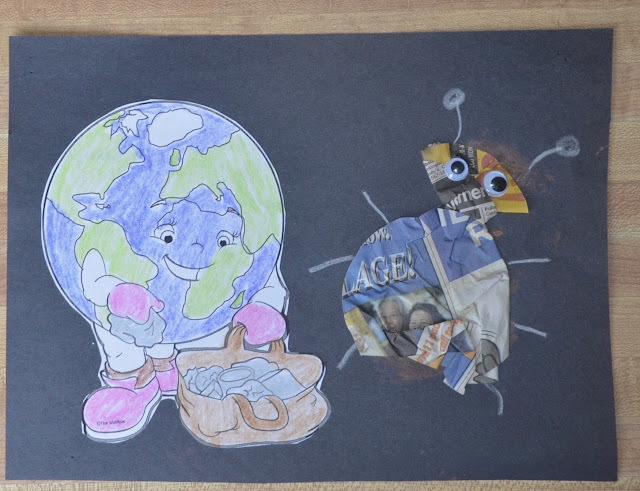 They took the newspaper to create their very own litter bug. In our parks or streams.